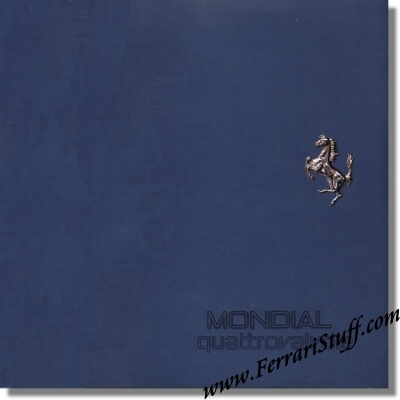 Ferrari factory original 1982 Ferrari Mondial QV Brochure. This Ferrari brochure contains 6 pages + 2 fold-out pages + 2 "onion skin" pages, the first one carrying a printed signature of Enzo Ferrari, the last one has a blueprint-like image of the QV engine. It measures Approximately 12 x 12 inches. Multi-language: Italian, English, French & German. Ferrari Print Number 242/82 12M/7/82, issued in 1982, printed in July 1982 by Arbe, Italy.